I hope everyone had a fabulous and fashionable spring break, I know I did. 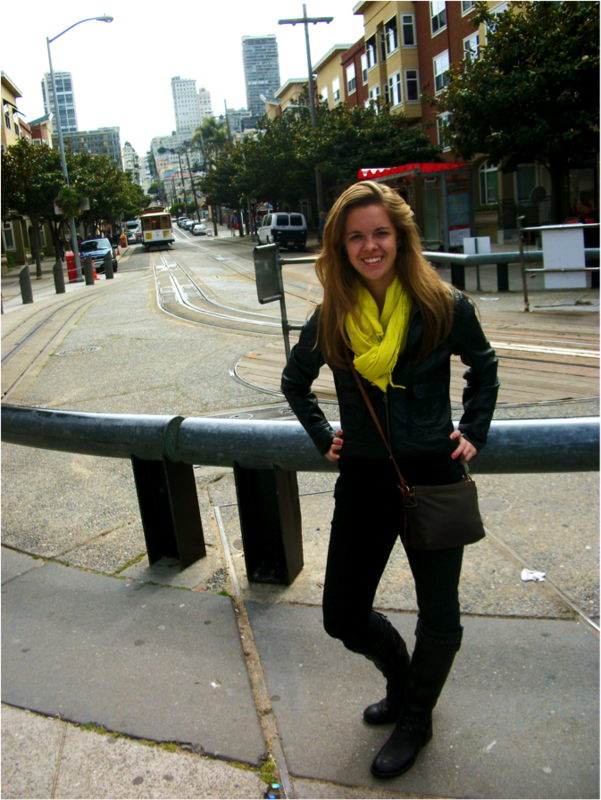 I sort of did the opposite of the typical spring break and vacationed somewhere cold, San Francisco. It gave me the opportunity to show off some cold-weather fashion I typically don’t get to wear here in Phoenix. San Francisco style is a lot different than Arizona style in the sense that everyone looks a lot more urban and the weather is a big factor in wardrobe choices. As a tourist to the city I wanted to dress in comfortable and warm clothing, yet still blend in with the local culture and flavor of the city. I did this with pairing tall boots with dark jeans and various jackets and scarves. A lot of the street style I observed was similar to this with people sometimes incorporating skirts with thick tights and long jackets. San Francisco is very laid back when it comes to footwear. All of the city walking requires ones shoes to be sturdy and comfortable. 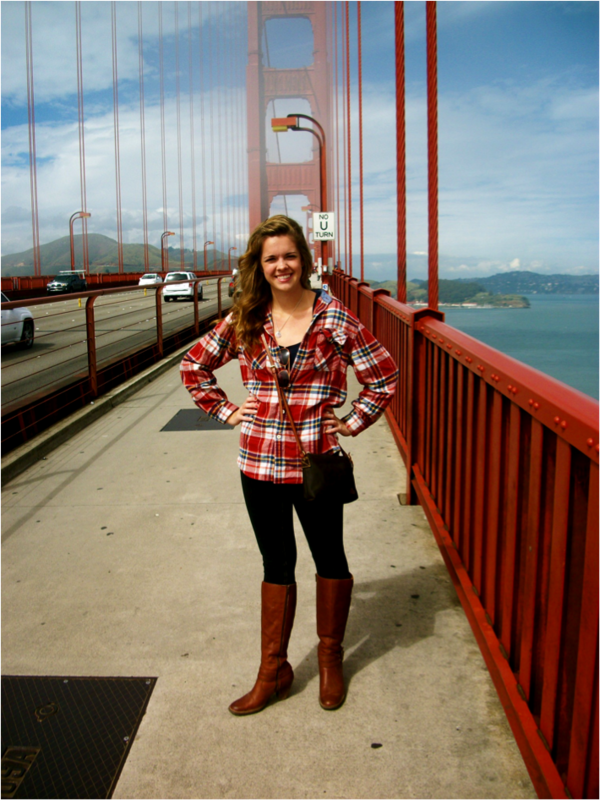 When I visited the Golden Gate Bridge I went with a little bit of a heeled boot and black jeggings with a loose, warm flannel, it was casual and comfortable yet still fashion forward compared to go-to tourist clothes such as jeans, sneakers and t-shirts. While most of the clothing in some of these stores were more comical than fashionable it was interesting to get a glimpse into past trends and recognize what makes up our style today.